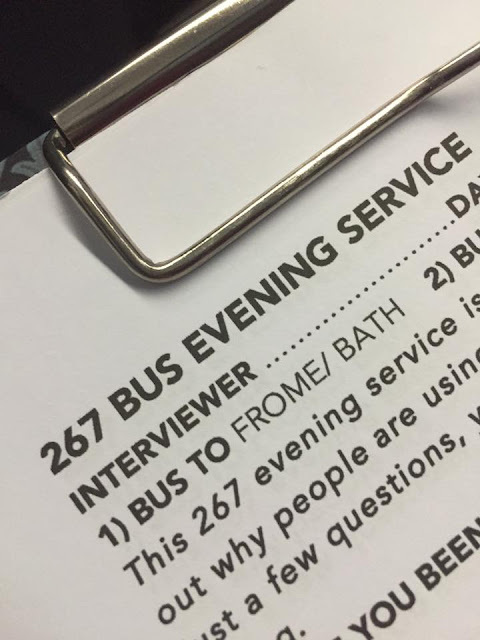 Frome and villages bus users group have been surveying on the 267 bus from 2000 up until 2310. We have travelled on all 4 of the 267 buses between Frome and Bath currently funded by Bath and North East Council. We were have surveyed the Monday to Thursday service as First bus have said that they can run the Friday and Saturday service without funding. We later decided to survey the Friday and Saturday services as well so that we have a complete weeks worth of data. We would like to thank all of the bus users who have been surveyed for their help especially those who we have seen more than once.